The feng shui salt water cure is a popular feng shui cure used to help neutralize the potentially negative effects of challenging feng shui annual stars in any home or office. This feng shui cure is usually used for feng shui star #2 and star #5 (some feng shui practitioners also use it for star #3). All these negative feng shui stars belong to a feng shui element that is weaker than the Metal element - star #2 and star #5 are of the Earth element, while star #3 is of the Wood element; this is why a strong metal element feng shui cure is used to weaken the negative effects of their energies. Having a basic idea about the annual feng shui stars, as well as the basics of the flying star school of feng shui will give you a better feel for the use of the salt water cure. If in any given year these inauspicious stars - #2, #3, or #5 - are located in your bedroom, your kitchen, your living room or at front door as well as any other areas you spend a lot of time in, such as the home office, then you can use the salt water feng shui cure to negate the bad energy. However, if these stars are located in an area with a closet, a bathroom, a storage area, or just an empty, unused space in your home or office, then you might not need to apply the feng shui salt water cure. In order to avoid confusion, it is important to understand that this cure is used by the flying star school of feng shui which calculates the yearly movements of the beneficial and not so beneficial feng shui energies (stars). This cure is rarely used by other feng shui schools. However, as with any other popular cure, understanding its essence is a big part of achieving success with feng shui. 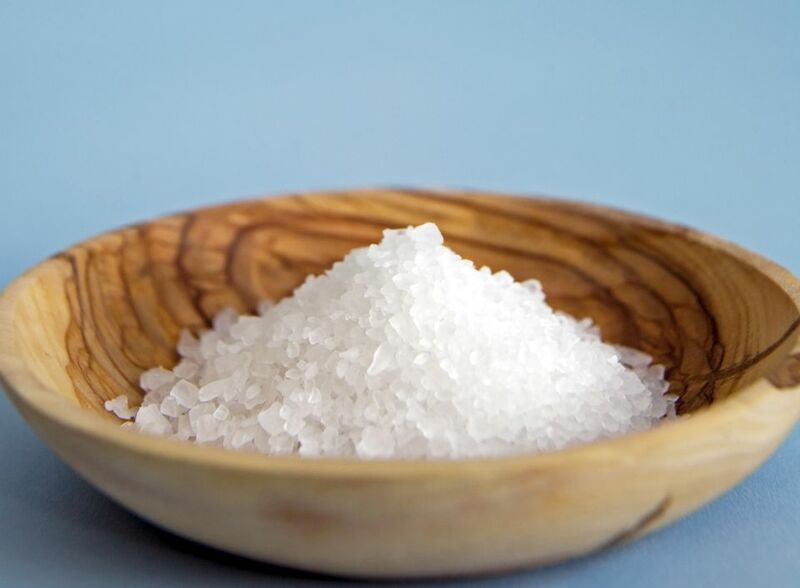 Salt is an ancient mineral with precious properties, including strong cleansing properties, and it has been used in various cleansing rituals since very old times. Salt is also used in various body purification treatments and massages, as it has the ability to absorb the negative, dull, low energies, thus leaving the energy fresh and pure. In simple terms, the salt water feng shui cure combines the strong purifying effects of salt and water combined with the chemical reaction between metal and salt. Salt that is used for purification is not to be consumed; and in feng shui, this cure is discarded after a specific amount of time, usually after one lunar year. A new salt water cure is usually placed in a home or office before the Chinese New Year. The look of this feng shui cure will change in time, especially if there is a lot of negative energy in the space where this cure is placed. The container will have a build-up of salt crystals overflowing its edges, in some cases quite a thick build-up, so many people change this cure more than once a year. If you are interested in the saltwater feng shui cure and feel that your home might benefit from it, here are the basic instructions for creating and using one.